Academy Award-winning producer Darla Anderson will deliver the Adams House Women’s Leadership Lecture on Friday, in recognition of her success with the Pixar hit “Coco,” about the ancestral journey of a young Mexican musician. 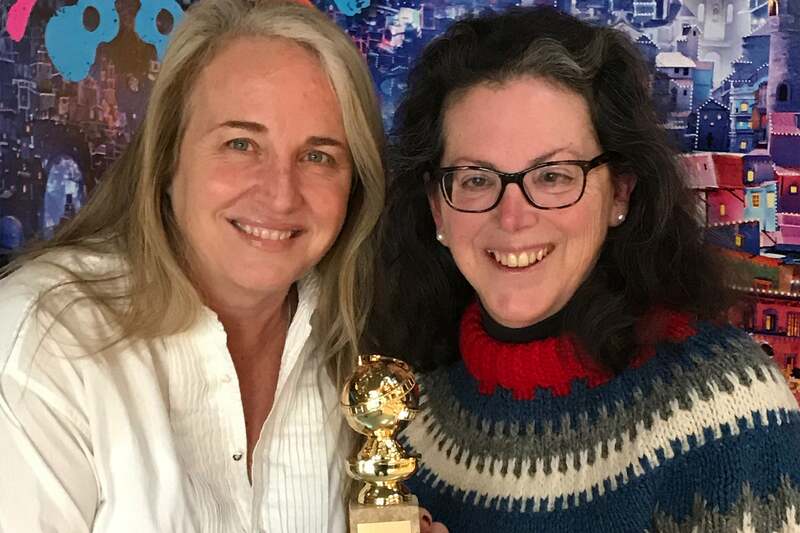 GAZETTE: As women in the film industry, can you talk about your roles shepherding “Coco” to top honors at the Oscars and the Golden Globes, as well as your own individual paths to success? Anderson: We were so focused on making sure the cultural nuances were accurate in this film that I don’t know that we got into major talks of being women in these roles. I’m so grateful for our partnership and how we came together. We quickly trusted each other. Marcela with her culture and having her bring all of her expertise at such an early stage in the process — it was such tender storytelling. I was grateful to have a strong, capable partner. Aviles: From my experience as a woman of color whose heritage is Mexican, who has been working in the industry for almost 20 years, the journey has been exciting and terrific, but also challenging to find professionals and executives in the industry interested in our stories of Latinx and Hispanic folk. We wanted partners who were not only interested and enthusiastic, but wanted to tell those stories the right way. Darla and her colleagues at Pixar were so welcoming. GAZETTE: Hollywood has had something of a reckoning in light of the #MeToo movement. Can you talk about any related experiences that have affected your work? Anderson: I’ve been working to support women in our industry, to mentor and encourage, for 30 years. I’m incredibly optimistic about difficult challenges and especially about women in our industry now, and I feel traction and the work we’ve been doing for so many years is finally getting momentum. I’ve also been involved in Women in Film over the years, and they have a project called Reframe to get more women behind the camera. There’s been nothing but support and enthusiasm to get women behind the camera. So many good people want to shift things, and it’s just accelerating and getting traction in ways we couldn’t have imagined. Aviles: In the last two years, there’s been a lot of traction to projects getting greenlighted, women have had projects produced, Latina projects have been picked up. There are a number of factors contributing to that: the impact of decades of advocacy for sure, leadership on the part of executives like Darla, and the impact of the internet and social media. It is the platform for folks, whether it’s a reader or someone in the audience, for the content they want to see. I share Darla’s optimism that the opportunities are much more abundant, and that’s exciting. The journey is moving in a direction that is going to bring storytelling to a whole new level because new voices are now included that were not included before. Anderson: “Coco” and “Black Panther” and “Wonder Woman” were extremely attractive to everybody. That gives me so much faith in human beings — that they will open themselves up to going on these different journeys and adventures, and are craving different types of storytelling. GAZETTE: What’s a piece of advice you give aspiring creative types? Anderson: I knew I had to work with art to change the world. When I would explain this back in the ’80s, it sounded especially weird. But I stuck to my own vision. It went against every single piece of advice I ever got. People told me not to go into computer animation video, to not work outside Hollywood. I ignored them. Storytelling continues to be elemental. It just keeps finding a new medium. You must follow your own true vision. Aviles: I have the same DNA. I can’t imagine doing anything other than being involved in art-making and finding ways to tell a story that impact people in a positive way. I came from a family background where no one had experience in the industry. Many students I meet are in community college and have aspirations. I tell them: Ground yourself and understand it’s a process. You will encounter challenges, but success doesn’t come without failing, and it’s OK to fail. Many, many times I faced failures, but because I was grounded in this vision, I had the resilience to get back up. It’s also helpful to create an asset map. Sit with a blank sheet of paper and write down your specific goal, then ask questions. How do I become this? That’s where you tap into your family and friend network. You send polite emails to professionals in the industry. You find a place where you can be taught that craft. Once you can get to a place where that goal is nurtured, the pathway is a lot easier.